Distracted driving contributed to the largest increase of traffic fatalities Oregon has seen in a decade, and on average eight people are hurt or killed by a distracted driver each day. Oregon legislators are hoping to curtail those trends with a new law. On Oct. 1, Oregon House Bill 2597 takes effect making it illegal to drive while holding or using electronic devices such as cell phones and tablets, excluding hands-free or built-in devices. There are some exceptions, including the use of mobile devices while parked, but the bill asserts that it is not legal to use the device while at a stop light or stop sign. 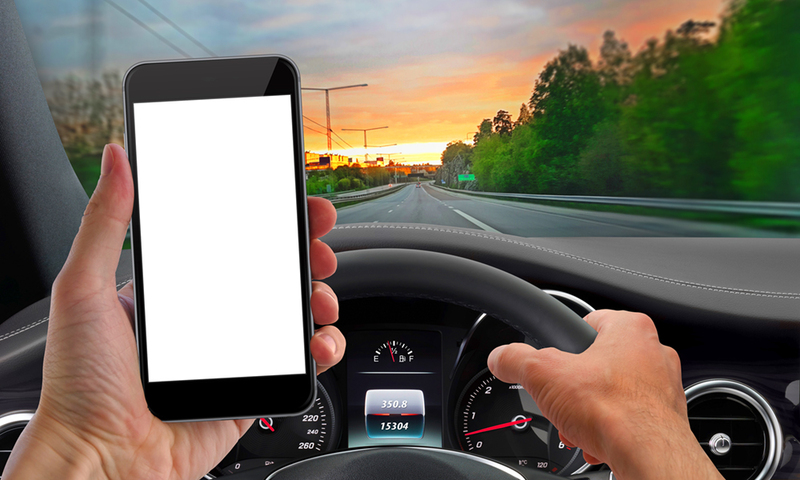 According to the Oregon Department of Transportation (ODOT), there were 917 crashes, 14 fatalities, and over 1,000 injuries caused by drivers using a cellphone from 2011-2015. Second offenders, or first offenders who contribute to a crash, can find themselves paying up to $2,500 in fines, and third offenders can be faced with up to $6,500 in fines or a year in jail. The bill isn’t just increased fines and strict enforcement, however. Starting January 1, 2018, the bill will allow courts to offer first-time offenders the option to suspend their fine and instead take a distracted driving course. House Bill 2597’s mandates are only one component in Oregon’s efforts to reduce distracted driving; ODOT’s DriveHealthy campaign hopes to incentivize drivers to practice safe habits with friendly competition. The campaign lets organizations and individuals use the LifeSaver app from Life Apps LLC to log cellphone use while driving and send scores to ODOT’s monthly leaderboard. Playing is easy: the less you use your phone while driving, the higher your score. ODOT is confident in the campaign, as a similar one in Boston reduced distracted driving among participants by 47 percent.